Aside from his beliefs on Russia, the Right Sector leader believes Ukraine should be “careful” with its future EU membership, as the “bureaucratic monster of Brussels” is “doing everything to bring to naught the national identity” of EU member countries. 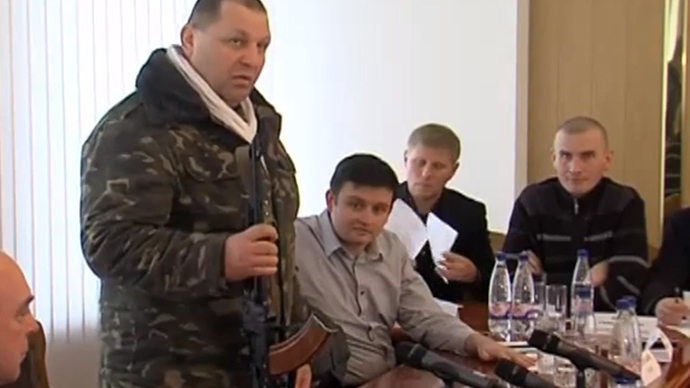 Yarosh’s outrageous plea to terrorist Doku Umarov exhibits the “guts of the so-called new Ukrainian authorities,”Chairman of the Presidium of the Russian Congress of Peoples of the Caucasus told Itar-Tass. “Extremists, nationalists of all stripes, flooded the peaceful republic threatening it with chaos and violence,” Aliy Totorkulov said. Even the fact of Yarosh’s address, whose “hands are stained with blood” shows that the Ukraine’s extreme right“Maidan sponsors” and the forces supporting the instability in Caucasus come from a “single-center” of extremism, Totorkulov stressed. 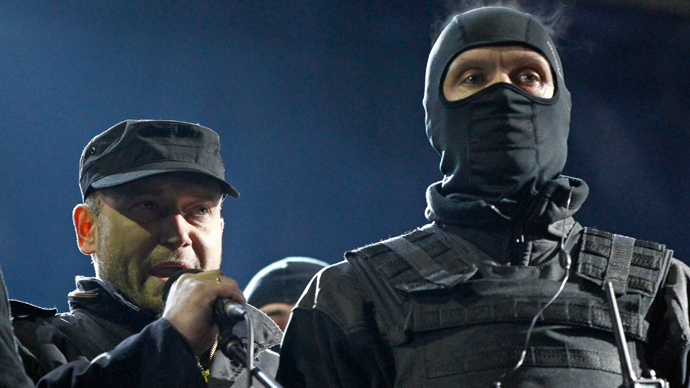 During the recent riots in Ukraine, Yarosh rejected any negotiations with the Ukrainian government, calling on his supporters to defy the truces and agreements of the government and the opposition. The Right Sector has been referred to as the most active, the most radical and the best organized group in the Ukrainian unrest. Well-equipped masked rioters from Right Sector often used clubs, petrol bombs and firearms against the Ukrainian police. Some notorious members of the radical movement have continued to use rifles and pistols to intimidate local authorities, which they believe should be “afraid” of the people. 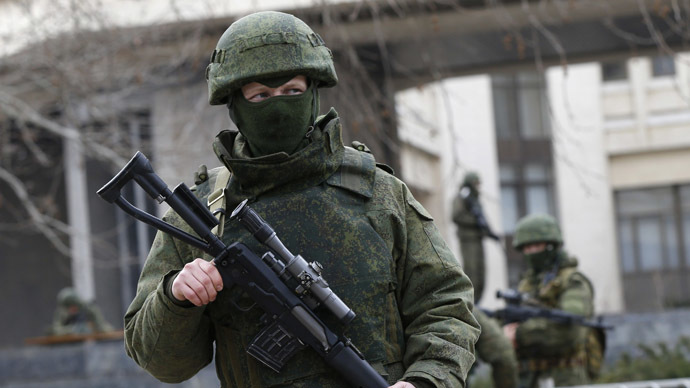 The Russian Foreign Ministry’s commissioner for human rights Konstantin Dolgov said that Moscow awaits the West’s reaction to Yarosh’s appeal to Umarov. Meanwhile the social media page of the Right Sector group, where the message has been posted, was taken down as it has violated company’s policies by posting prohibited content. The VKontakte page now states that the "community has been blocked at the request of Roskomnadzor as it has been added to the register of prohibited content." The Right Sector social media VKontakte page had over 375,000 followers and was used for coordinating the actions of the movement's cells across Ukraine. After the outrageous message caught the attention of world media, a Right Sector representative has claimed that the movement has nothing to do with the posting and that one of their administrator's accounts was "hacked."